You probably know the basic rules of using a straightener, like always spray a heat protectant before styling your hair, and don’t turn the heat higher than 400°F. And while you probably abide by these rules already, you are likely neglecting one very important yet rather tedious one: Clean your flatiron. To make sure we know how to do this properly, we reached out to Honey Artists celebrity hairstylist Daven Mayeda for his tips on how to clean a flatiron. Considering the amount of heat protectant and styling product we use, it’s only natural that our flatirons will acquire some buildup. And as Mayeda explains, the cleaner the iron, the better the styling, and the better the styling, the better the overall outcome. To learn the proper technique for cleaning a flatiron, keep reading. 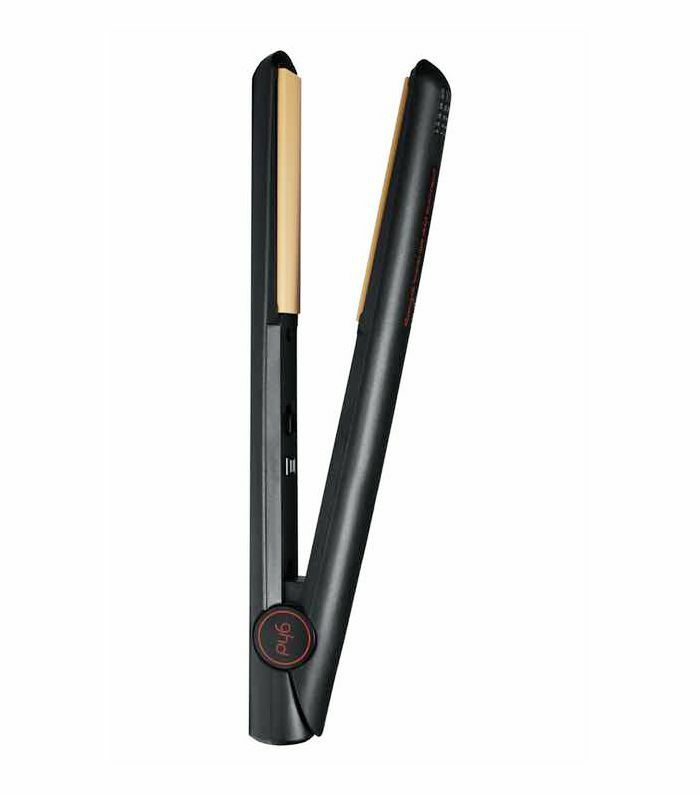 To begin, Mayeda recommends turning your flatiron on the lowest setting and letting it heat up. This is a very important step, as the heat aids in loosening up product buildup on the plates, making it easier to clean. Once it's sufficiently warm, Mayeda says to unplug the iron, and double-check to make sure it is not connected to the outlet. While your straightener is heating up, Mayeda recommends grabbing a soft towel and either warm water or rubbing alcohol (for a deeper clean). 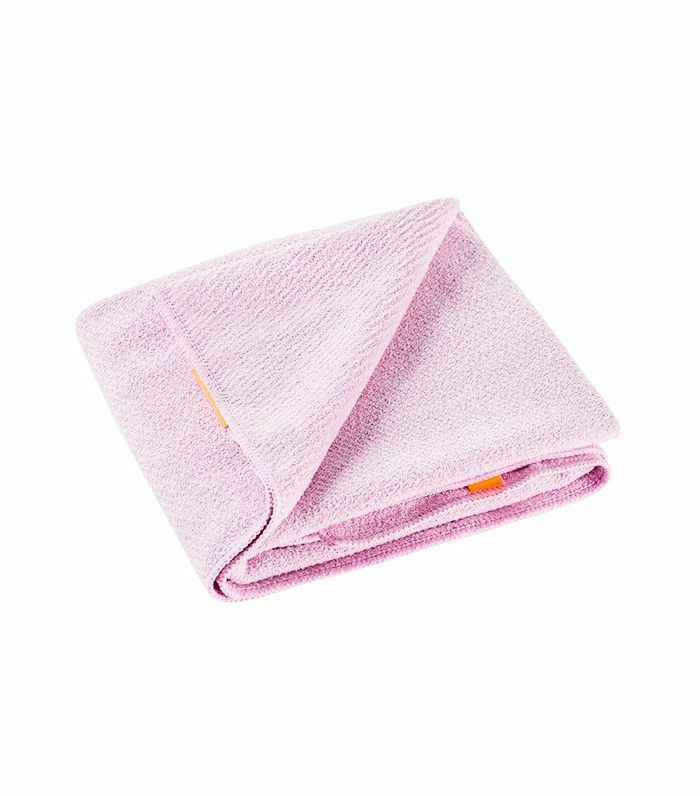 If you don't want to get a towel dirty, cotton swabs work just as well. While performing this step, it is very important to be mindful of the way in which you are cleaning so as not to burn yourself on the warm plates. With that said, grab your unplugged iron, and gently scrub the plates with a towel or cotton swabs dipped in rubbing alcohol. Make sure not to scrub too hard, as Mayeda says this can damage the plates. The more buildup, the less evenly your plates will heat up and the harder it will be to style your hair. To prevent this, Mayeda recommends cleaning your iron once a month. 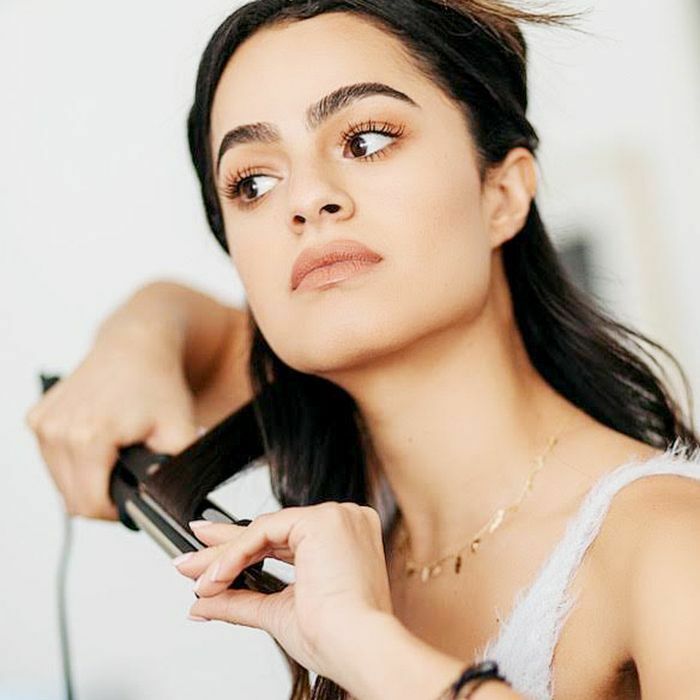 However, if you frequently use a lot of product, Mayeda says to clean your flatiron after each use, as heavy buildup on the plates can cause damage and split ends. Next up: five flatirons that leave your hair silky (not fried).